Readers of adult speculative fiction will have long known about the talents of writer Alma Alexander, but we first encountered her more recently. Our introduction came during the 2007 Cybils, when her first young adult novel, Worldweavers: Gift of the Unmage, was nominated for the Science Fiction and Fantasy category. Later, Aquafortis had the privilege of meeting her in person at the 2008 Kidlitosphere Conference in Portland, Oregon. Warm and friendly and definitely a woman unafraid to travel, Ms. Alexander was born in Yugoslavia and has lived in parts of Africa, the U.K. and New Zealand. An unusual start to her writing began with graduation from the University of Cape Town with an MSc in Microbiology. Ms. Alexander spent several years running a scientific journal for the Allergy Society of South Africa before moving on. She now lives with her husband in the Pacific Northwest. 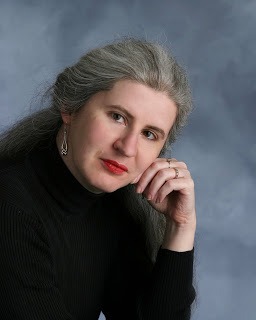 Ms. Alexander’s writing travels have taken her to the intersection between fantasy and cyberspace, to create a unique space in speculative fiction, as seen in her Worldweavers trilogy. Naturally, we had a lot of questions about everything from Ms. Alexander’s writing process to her opinions about YA fantasy in general — we hope you enjoy her answers as much as we did. FW: What was the biggest challenge in going from writing fantasy for an adult audience to writing fantasy for a YA audience? After your success with your adult series, what inspired you to try your hand at writing for young adults? 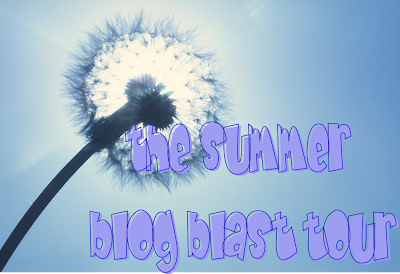 What is the difference, for you, in writing for one group or the other? AA: I do not, never have done, never will, write “down” to a level considered appropriate for “children”. When I myself was one of those children, authors being patronizing and assuming I was ignorant or lazy was one of the top reasons why I would toss a book aside without finishing it. If the author cannot respect me, the reader, then I didn’t see why I should reciprocate. Now, I fully realise that I am probably one of a subset of humankind that is defined by being precocious, hungry, and responding positively to being challenged – but I honestly do believe that many young readers today would welcome more of a challenge than they are getting these days. As a reader – and then as a writer – I was never afraid of using a “long” word if that was the perfect word for what I needed to say; when I was growing up I often needed no more than a context in order to be able to figure out what an unfamiliar word meant – and if not, there was always the dictionary. So in answer to the first part of that multi-part question – the biggest challenge from going to one audience to another has not and never will be the tone of the books or the language in which they are written. I have had to bow to certain aspects of the culture in which and for which I write – the second book in the Worldweavers saga, “Spellspam”, involves spam emails… and I don’t suppose I have to tell you what kind of common spam I definitely could NOT use in a YA book of this nature… – but that was more or less the only concession. I do not believe for a moment that the troubles and trials of someone who happens to be fourteen or fifteen are any less valid or important than a mid-life crisis, and indeed are frequently far MORE important and life-changing than the latter, and my teen characters have choices to make and decisions to wrestle with that are every bit as complex as those that would face – and probably faze – an “adult” character. As for what inspired me to YA, the short answer to that lies in my having attended – completely arbitrarily – a panel on writing YA at the 2002 World Fantasy Cnvention…at which panel YA doyenne Jane Yolen made a throwaway comment that she did not like the way that some of the Harry Potter books treated girls. That really was all it took – I was off with Thea Winthrop in her own world before the panel came to an end. Before that moment I had no intention of writing YA, no story, no inspiration. But writing moves in mysterious ways sometimes, and seven years down the line, here I am, a YA trilogy under my belt. You just never know. FW:”You pwn all other writers!” Okay, that’s something I’d want tattoeed somewhere! You utilize a great deal of Native American mythology in your Worldweavers books—the idea of a spirit journey, the character of Grandmother Spider. What sort of research did you undertake to incorporate these themes? What made you decide to use this lore in your series? AA: I read a lot of background for that particular aspect of the stories, and the more I read the more I realised how rich and beautiful and amazing that mythology is. And how fundamentally UNKNOWN in the mainstream literature and media it is. Sure, there are touches of it here and there, but quite often they come in the guise of the “magical Native American” character, the wise old shaman whose role in the story is to be a Yoda who speaks in more grammatical sentences and has better hair. One of the things I wanted to do with these books was provide an American counterbalance for the heavily English Harry Potter books – so English, so British, that even the title of an early book had to be “Translated” into American in order for American audiences to make sense of it. I grew up with the English cultural ethos; I am familiar at first hand with English boarding schools (although they NEVER had the sort of food provided by Hogwarts, trust me), the House systems and the prefects, tea and scones, all that stuff – but much of that is as alien to an American kid as though it was all set in a real Fairyland, or on Mars. So I wanted to provide the sort of setting that was closer to home for those American readers. And once I was headed in that direction… the New World mythology was a natural road by which to travel there. FW: Well, definitely need more mythic traditions within young adult literature, and the Anasazi are certainly a new twist. So, where did the idea for the Worldweavers series come from? What was the germ of the idea that led to Thea’s character and the idea of the Wandless Academy? * I wanted to create an American magic, an American adventure, in order to balance out the preponderance of the British influence in the YA genre as exemplified by the seven-book phenomenon that is Harry Potter. For a long time YA fantasy appeared to BE Harry Potter… and very little, if anything at all, else. So I wanted to take the adventure back West, to the New World, to show that there was magic here, too, to tell the kids whose roots were on THESE shores that they too had something that they could call their own (and understand without the need for the across-the-pond translation). * I wanted to create a set of adventures where the GIRL gets to go and have them… and show that she’s capable, and strong, and willing to take risks and make hard decisions. * I wanted to create a story where the protagonist was not a lost orphan, but to show that protagonist in the midst of a busy family with all the attendant family troubles and dramas. * I wanted to create a story of a protagonist who gets to grapple with her own problems – hence, instead of the Boy Who Lived, I have the Girl Who Couldn’t… until she figured out, and chose to grasp, the fact that she could… only not in the ways that everyone else expected her to. I wanted a character who grew and changed and was fundamentally transformed by the decisions that she was called on to make – a character who learns that it is not strength to obstinately go it alone, and not weakness to know that she can rely on her family and her friends to support her when she needs them. I wanted to write a fantasy which would be no less enchanting and engaging for having a “real” teen as a protagonist, someone who had to deal (on top of the requirements of her adventure storyline) with many of the “real” problems that affect real kids in America today. FW: And you were really successful in creating a story that has a lot of the same elements as the Potter books – the same possibilities in magic – but arriving a similar conclusions from a thoroughly different angle. You’ve had a unique and diverse upbringing in a number of different countries. Has this affected your writing in any way, or even your choice of writing as a career? If so, how? AA: Living in, and absorbing, so many different cultures and points of view has inevitably made my own broader and deeper than some of my peers who have never left the town where they were born. I have seen a lot of the world and I am in awe of it, of its many changing faces, of its beauty and its cruelty, of its power. I’ve used SOME of that multifarious background in my writing, sure – there’s an (still unpublished) fantasy that I have somewhere that’s based on Maori and Pacific Island mythologies – legacy of my six years’ sojourn in New Zealand; I haven’t woven Africa into a fantasy yet, but I’m sure that’ll come someday. Part of the gift of this life that I’ve lived is a double-edged sword of being able to understand completely two utterly opposing points of view and make a good case myself for arguing either of them – I think they might be reduced to recruiting people like me if First Contact ever happened with a truly alien race, because it’s people like me who have learned to come to terms with what is alien between individual representatives of widely-divergent representatives of fundamentally incompatible and yet parallel-evolved cultural communities on our own world right here and now. This comes in useful in a writing career. One’s characters kind of cease to be cardboard once you learn to look behind their eyes and start figuring out what’s going on inside their heads. It’s the iceberg school of writing – you wind up knowing MUCH more about a character, ANY character, than will ever show in any given story – but the things you don’t show, you don’t talk about, are what gives depth and personality to the face that your character DOES show to his or her world. I’m fundamentally very grateful for all the opportunities that I’ve had to see, to learn, to travel, to grow. I have no doubt that these opportunities have fundamentally affected what I chose to do for a living, and the manner in which I have pursued that dream. FW: In both your YA and adult fantasy series, you include a diverse crop of strong female heroines, such as the quiet but clever Thea in Worldweavers. Do you think that fantasy as a genre still needs to fill a gender gap in terms of strong women as protagonists? Is there still a noticeable gender gap with respect to the writers of fantasy as well? What has your experience been? and now what I said then – I did not set out to write “strong female characters”. I set out to write GOOD STORIES, and the characters who stepped up to take on the protagonist role in those stories…happened to be of the female persuasion. I firmly believe that what readers are looking for are strong protagonists in strong stories – and while there is some truth in the saying that males (boys) will not read about female heroines while females (girls) can and will get immersed in stories with a male hero, that isn’t the final word. I think that this is a chasm that CAN be bridged. rear upholstered in poured-on black leather. The “strength” in these heroines is often measured by their ability to literally – and physically – overcome their adversaries by dint of actual dirty hand to hand combat. That’s a kind of strength, sure. I HAVE written warrior-heroines (Xaforn in “The Secrets of Jin Shei” comes to mind) – as you say, I tend to like the quiet but clever characters like Thea, people who figure things out with brain rather than brawn. I do think that there is a gender gap in that THAT kind of protagonist tends to be female – because of an erroneous assumption that a male hero who will not fight is by definition a wimp and therefore not worthy of further consideration. Girls are given a little more leeway on this. But I do think there’s more of them out there than we know – the strong, quiet kind. And they’re making their presence felt. FW: The idea of a school of “misfits,” of kids who are told they’re nothing special but who, as it turns out, are actually quite special and indeed powerful in their own ways, ways previously unimaginable to those around them – it’s a powerful metaphor for adolescents coming of age and learning their own strengths and talents. What drew you to the fantasy genre to address the issues and tribulations of growing up? What draws you to fantasy in general? AA: In all honesty, one of the most powerful – and most widespread – kinds of magic there is or has ever been is the simple process of GROWING UP. Much of the time it’s a quiet magic which bubbles under the surface and is rarely glimpsed out in the open except at milestone moments when someone suddenly realises that though the power of some magic spell they are no longer a toddler, or a “kid”, or even that they are not young any more. The “coming of age” stories shine a light on that magic, however briefly, and in that light the readers of those stories can recognise and/or remember those moments in their own lives when the growing-up magic showed through. And this is not a pretty, vapid magic, either – there are no cute fairies fluttering past on dragonfly wings or rainbow castles on clouds, this is REAL magic, the kind that transforms and transforms permanently at that, and that has a definite and often heavy cost associated with it. Dealing with that, in real life, can often be hard – and this is the true raw power of fantasy, that it can take a tough subject like this and distill it into story so sweet, so pure, that you drink it down without realising that you’ve done it until the bitter aftertaste of it kicks in sometimes, just to remind you. The power of fantasy is to leave lasting impressions and to teach about difficult things in a way that makes those lessons easier to take, and to absorb, and to internalise, and then to perhaps put into practice. That pretty much answers both parts of your question, because what I am drawn to in fantasy is the pure power of transformation – the manner in which you are drawn into a world where it isn’t so much that anything is possible but that certain things are possible under different rules that you might be used to… but there are ALWAYS laws, and there are ALWAYS consequences. Fantasy is, I believe, one of the most fundamental achievements of the human creative spirit. FW: Here’s where we ask for helpful hints! As writers ourselves, both interested in someday publishing fantasy, what can you tell us about the challenges of writing fantasy, developing a world and its rules and characters? What is the most challenging thing about it, and what is the most rewarding? What was your road to publication? I then wrote and published “The Secrets of Jin Shei”, written as historical fantasy or alternate history but frequently marketed as “mainstream”… and currently out in 13 languages worldwide. That was followed by “Embers of Heaven”, a sort of follow-up to “Jin Shei” but also a stand-alone book by itself, also currently in multiple foreign language editions (six at last count) but not, alas, published in the United States. My next project was the YA Worldweavers trilogy – “Gift of the Unmage”, “Spellspam” and “Cybermage”. Counting in here my early published work – a book of fantasy stories/ dark fairy tales published under an educational imprint by Longmans UK, an autobiographical non-fiction volume about my growing up in Africa called “Houses in Africa” and a mainstream email epistolary novel written with coauthor Robert Deckert (the man I eventually married), the third Worldweavers book, “Cybermage”, is actually my tenth published book. Which is a bit of a milestone. As for general advice… Read. A *lot*. I read everything. I am still reading, and learning my craft from other people’s brilliance (or, sometimes, lack of it). You cannot be a writer – leastways not a good writer – without having been a reader first. You need to know early on that “writing” and “being a writer” are two different things. Writing is what you do because you love it and because it gives you a reason to get up in the morning. “Being a writer” is often the description used by people who don’t really want to write, but who would very much like “having written” – as in, gather in the laurels without actually doing the necessary work. To become a published author you need a large dose of obstinacy, a dollop of perseverance, a refusal to give up, and a huge, huge helping of luck. And oh yes, a smattering of talent. But just talent without the ability or the determination to stick it out through the lean times…is not going to get anyone anywhere. You need to know where you want to go, and you need to be absolutely determined to get there. If you see opportunities, make sure you are in their path so that they can trip over you. Get to know people. Tell your stories. Never give up your dream. Beyond that… there is no secret, no elixir, no magic spell, no shortcut, no secret handshake. It’s all you, and what you are willing to put in as equity. It’s your dream. You may have to work for it – harder than you believed it was possible to work for anything. But you gotta want it first. It can all be summed up in a single sentence – DON’T GIVE UP ON YOUR DREAM. If you have it, hang on to it. If you lean against any brick wall long enough… it WILL fall down. It’s up to you to decide just how hard, and how long, you can handle leaning on that wall. But if you want to see what’s on the other side… don’t give up. And the other side is a country that is sometimes hard going, that has harsh winters and often bad roads… but that is beautiful beyond compare, and that will fill your soul to overflowing all the days of your life. FW: Thank you — for the encouragement not to give up, especially. It’s good to know that all kinds of minds and backgrounds are needed to produce good YA fiction. What are you working on currently? Do you have any upcoming or future projects in the pipeline that you can tell our readers about? AA: A new novel is already with my agent in New York, and we are working on it prior to presenting the MS to publishers – which is due to happen very shortly. 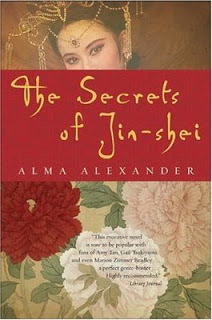 It’s not YA, it’s a “grown up” book more along the lines of “The Secrets of Jin Shei”. Currently working on something that’s a little more closely related to magical realism than to pure high fantasy – but I have other YA ideas ready to pursue, too. The next few years are shaping to be busy. FW: In this economy, as all writers know, publishing houses are folding, and writers are feeling as tense as anyone. What, if anything, do you want to say to writers about the value of writing or the creative life in this era? FW: Is there anything interviewers never ask that you’d like to tell your readers? AA: “How do you reach back out to a writer of a book that has affected you?” – I myself have answered that question, frequently, by writing to the writers of the books which I have loved , to tell them so. So here I am, telling you – if you loved a book, take a little bit of time and find a way to tell the writer about it. Trust me, it’s the best thing that can possibly happen to a writer – finding a note from a reader in their inbox, telling them that some child of their mind has found a friend, and a home. It’s what keeps us writing. Wow. Love the thorough answers and advice. 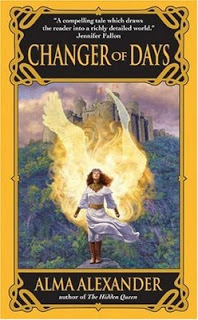 Thanks for introducing me to Ms. Alexander and her work–must read her books.